who knew Mily Cyrus was also a theologian. cool! i am picturing the three wise guys singing this tune on their unexpected journey searching for Christ, à la Bilbo Baggins. 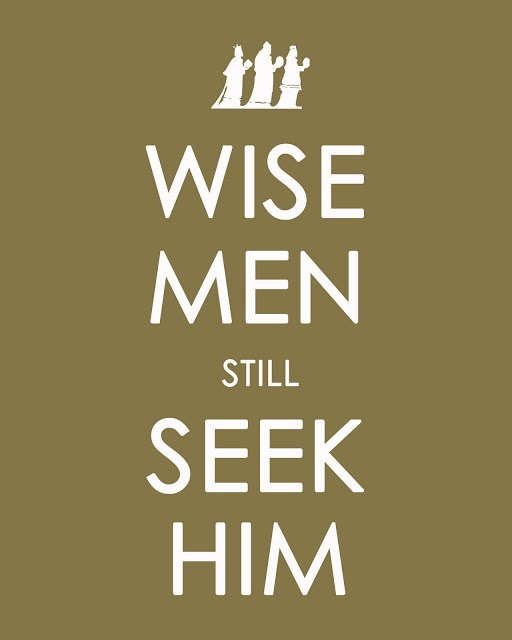 wise men people seek Christ. 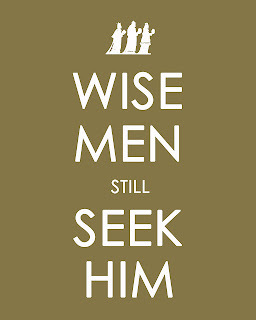 does that mean those who do not seek God in Our Lord Jesus Christ are not wise? (pause for knee-jerk reactions ...). time will tell. often times on my day off i usually end up in Ottawa somewhere, staying at the Cathedral (not in a pew - that would be awkward - , but at the Residence). the boys, my brother priests, usually make some remark, "the wise man from the east (Hawkesbury)" has come for a visit. indeed, i am a wise guy - most of the time. i love it! today the Church celebrates the Magi being overwhelmed with joy in finding Jesus. i was a type of wise man this weekend as i went east-bound to St. Jude's parish (3 minutes down the street). we have a beautiful family in the Catholic Church, and i am joyful to have her as Mother. i preached about Bilbo Baggins of course, on his unexpected journey. i saw the The Hobbit: An Unexpected Journey a week ago or so with a few of the wise guys - brother priests - after our annual Christmas luncheon hosted by His Grace. i enjoyed the movie, but was not prepared for it being another trilogy. just when things got going - BOOM - the credits. "preparation is no guarantee that you will be ready; it may actually blind you, because you prepare according to your own idea. There is no substitute for an open heart; learning sometimes has the effect of closing the heart, and in some cases even the mind. Religious authority is the most perilous of all: the claims are absolute, the deepest things are at stake, and with the years comes the habit of listening to no one. Indeed, the most chilling feature of this Gospel [reflection on Mt 2:1-12] is the encounter of the religious leaders with Herod." today we celebrate the Epiphany of the Lord, a Christian feast day which celebrates the revelation of God in human form in the person of Jesus Christ. this unexpected journey is an invitation for all. the theme today, as it is for Bilbo's coming-of-age adventure, is the same for each and everyone of us: the overcoming of greed and selfishness, ... central moral of the story (à la wikipedia.org). in this Year of Faith, let us - together - embark on this unexpected journey! everything changes once we meet God in Our Lord Jesus Christ. like the Bilbo Baggins, and the Magi, we too can be overwhelmed with joy, even with the ups + downs of life! peace.